This page presents an exhaustive list of John O'Loughlin's eBooks. You can view any given title by clicking a link. 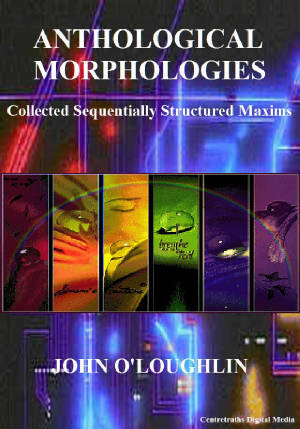 John O'Loughlin will continue to concentrate on eBooks of a deep literary nature, principally with regard to fiction, poetry, and, especially, to philosophy of a highly ideological and increasingly comprehensively-exacting structure based on the four elements but considerably transcending them in terms of a number of correlative quadruplicities of either a hegemonic, a subordinate, or a mutually subversive and subverting tendency.